But seriously, tornadoes, hurricanes, flash floods, and the like are forces of nature that can be predicted by weather experts. But it's up to you to be able to receive those predictions with a weather radio!​ And to make sure you make the right decision when it comes to buying your own weather radio, we've done the digging to find the top rated models around. We'll give you a brief buying guide and helpful info that covers common questions like: what's the difference between a regular and weather radio, why do you need one if you have tv, and a few other questions. Most people think that if you've got a radio, then you have a way to know the weather. But a weather radio is special because it's dedicated to continuously broadcasting weather reports. Unlike the local news station that only talks about weather at the beginning and end of the day. You also have the added bonus of local amber alerts, terrorist activities, and potential natural disasters. These radios work on an FM frequency, but are​ a part of the NOAA WX numbering scheme for US and Canadian weather channels. So it's all weather and useful news all the time. You likely wouldn't be able to pick these channels up on a regular radio, which is why the weather radio is made with the right frequency to pick up these stations. This is a feature that keeps the radio in a "sleep" state, until there's an emergency to broadcast. So the radio could remain "asleep" for weeks to months if there's no weather or warnings you've pre-selected to broadcast. But when it does broadcast the warnings, it will sound the complete weather warning message and tones. (Specific Area Message Encoding) This is a relatively new feature that allows users to program the radio so that they only receive warnings that concern their country or area. Weather radios with this feature have to enable it and specify their country and location. Most weather radios work with a variety of power sources like solar panels, batteries, ac adapters, and other home energy ﻿﻿power ﻿﻿﻿﻿﻿s﻿﻿o﻿urce﻿s. There's also the trusty hand crank if you feel like you need a workout with your alerts ;). On the whole, these radios are meant to be portable. Most are able to fit in your purse (should you be a woman or adventurous man), but not small enough to fit in your pocket. There are some that are larger and have a bit more features than what we've discussed here, but those are mostly for schools and law enforcement. For what we're talking about though, the best option would be to get a weather radio that is extremely portable! If you're a resident of tornado alley﻿﻿ (North Texas, Oklahoma, Kansas, Nebraska, and parts of South Dakota), then these gadgets will be about as available as bottled water! Mostly because this area of the US is most prone to natural disasters like tornados. So you'll be able to find them in most grocery stores, drug stores, and even gas stations. Like we said, it's about as easy to find a weather radio as it is bottled water. 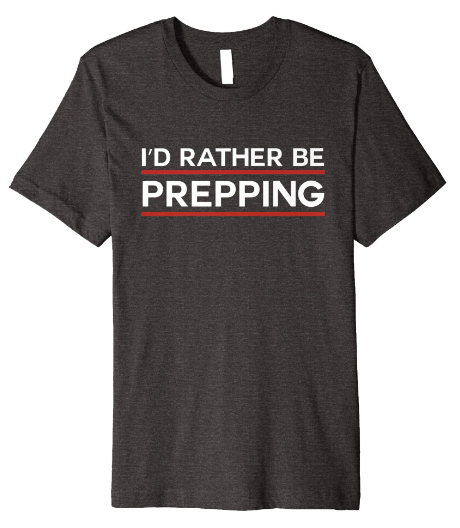 But if you want to save the hassle of picking one out there, you can be like most of America and do your shopping online! This is it, Amazon's best seller, now it's time to find out why and if it should be... Honestly probably not, but let's go through it's features and make sure! The iRonsnow ​has all the basic components of a normal portable weather radio with only a few minor tweaks here and there. This tool has the 3 radio stations with all the NOAA alert stations, it's got an led flashlight, analog radio, a durable outer shell, solar and hand crank power, and a charger for your phone. This thing has quite a few things going for it. Even though the company has a bit of a strange name, their product makes up for it in quality and dependability! The running snail is just one blade short of being the perfect blend of swiss army knife and weather radio. With analog controlled radio, flashlight, hand crank power, solar power, and a seller warranty of a 45 day money back guarantee this radio is phenomenal! The extendable radio antenna makes receiving a clear signal a bit easier in tough reception areas. But one feature we'd lik​e to see added to this radio is digital radio selection. There's nothing more frustrating than trying to find an exact station on an analog radio IN THE DARK. It's hard enough to see with light, but it gets a bit ridiculous at night. The backlight and clear numbers of a digital read out would be forever appreciated. This unique weather radio has just about as much going for it as the American Red Cross version, but just in a smaller package. The Epica Weather Radio is the epitome of a hand held weather radio. It might as well be a flash light for how compact it is, and the digital radio settings as opposed to analog are a breath of fresh air. The hand crank is a feature that is almost standard on most radios, so the Epica took care of that as well as adding a solar charger. So say goodbye to worrying about battery life with your radio. There have been some complaints though that the usb cord isn't working properly, and that the solar panel takes quite a while to charge, even in direct sun light. However, the company stands firmly behind it's product. So if you feel you need to be sent another radio or given a refund, they will make it happen for you! The Red Cross' version of a weather radio is a bit like a swiss army knife, this thing does just about everything except connect to the internet! 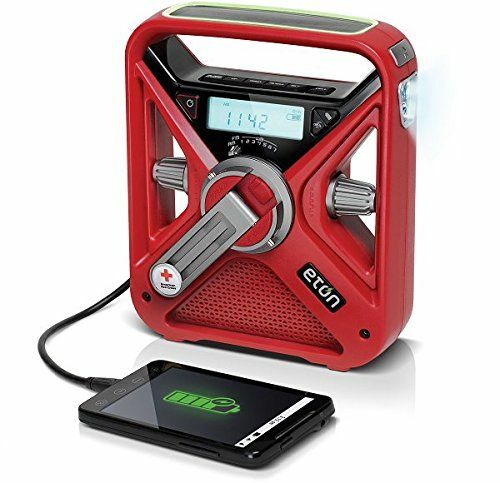 The features on this include all three radio stations (AM, FM, all 7 NOAA stations), hand crank power, solar power, LED flashlight, the alert function, and even a cord to charge your phone. Pretty crazy! The only complaint here is that the price is higher than most weather radios. Granted you're getting a lot more with this radio than with others, but it's still a bit too much in our opinion.